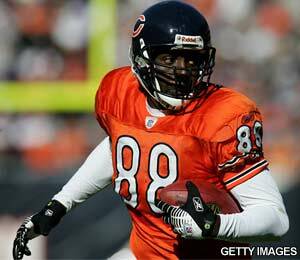 Bears fans can relive Super Bowl XLI memories with former tight-end Desmond Clark when he bartends from 6 to 8 p.m. Friday, Sept. 23 at Prairie Fire. All tips Clark receives while bartending will be donated directly to his charity, 88 Wayz Youth Organization. Fans may remember Clark helping the Bears reach the Super Bowl in 2006. That season he caught 45 passes for 626 yards and totaled six touchdowns. Clark founded the 88 Wayz Youth Organization in 2008 because he wanted to see young people receive opportunities they wouldn’t typically receive. Clark’s organization hopes to bridge the gap between social, economic and spiritual neediness. The program teaches youth to avoid street violence and encourages them to think for themselves and to reach success through positive confirmations. Young people in the organization work directly with mentors positively addressing school suspension, detention, negative influences, drugs, gangs and fatherless homes. For more information about Prairie Fire, visit www.prairefirechicago.com.